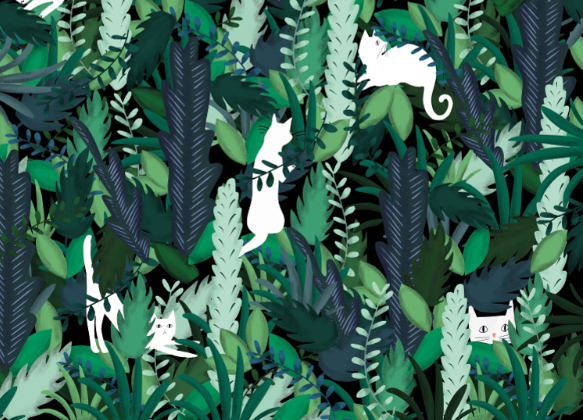 Jungle Cat Illustration produced for U Studio. Published as Greetings Card, Gift Wrap, Notebook, Coaster, and Washi Tape. 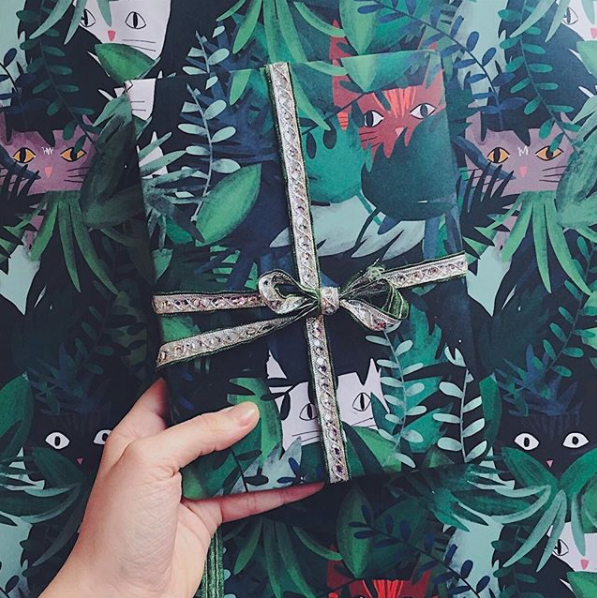 Crop of the Jungle Cat illustration originally made for Gift Wrap (revised design below). This giftware series has been picked up by independents all around the country, as well as major stores. 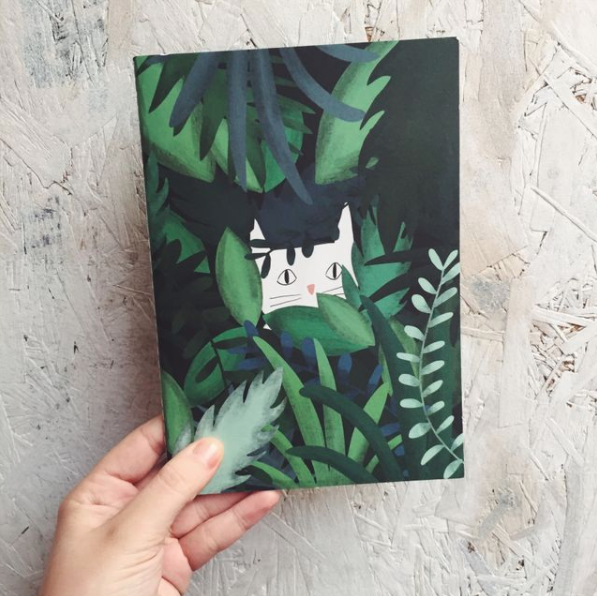 Jungle cat notebook! Illustrated by me and produced by U Studio this notebook has really nice soft pages and is stitch bound. 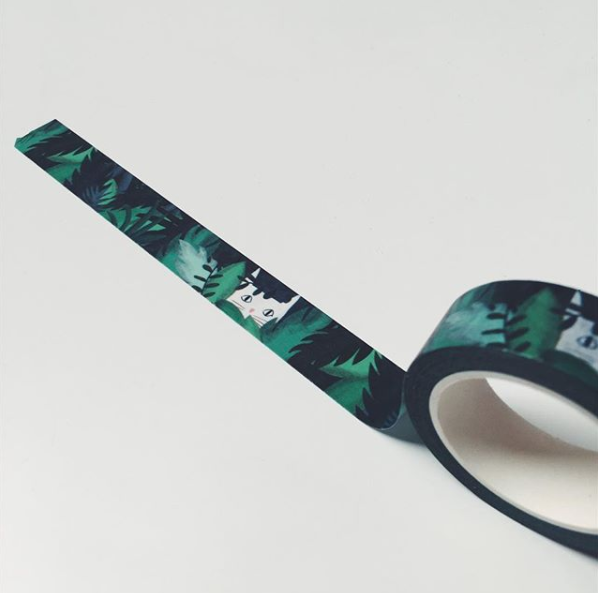 My last and favourite product of all with my jungle cat illustration on – washi tape! This looks SO good and U Studio have done such a good job with the quality of these, you can stick leafy cats anywhere and use it for so many things. Washi tape for life!